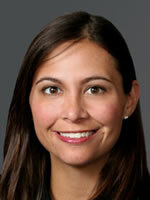 Kristin Rylko is a partner in Mayer Brown LLP’s Banking & Finance practice. Kristin represents commercial lending institutions, insurance companies, funds and corporate borrowers in a variety of secured and unsecured finance transactions, including investment grade and leveraged lending deals, acquisition financings, syndicated and bilateral loans and credit facilities, first lien / second lien transactions, subscription facilities, bridge loans, debt restructurings and other domestic and cross-border financing transactions. Kristin joined Mayer Brown in 2005.